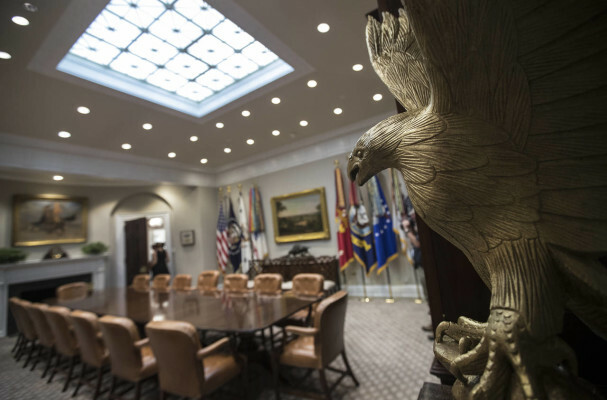 The West Wing has fresh paint on the walls, new carpet underfoot, cool, crisp air and more than a few new eagle decorations. The White House renovations took place while President Donald Trump was on his “working vacation” this month. 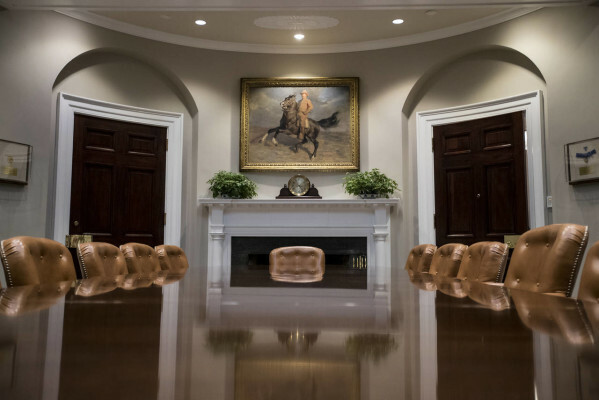 Updates included replacing the 27-year-old heating and cooling system, refreshing the paint and carpets throughout offices and meeting rooms and hanging Trump-approved wallpaper in the Oval Office. Most of the work was done during Trump’s 17-day break from the White House earlier this month. 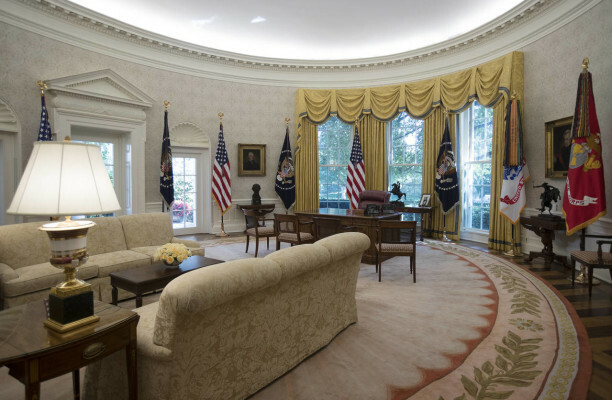 The current furnishings and draperies in the Oval Office are all from past administrations, though Trump may make more changes later. Officials stressed that the latest updates were tackled with presidential history in mind. 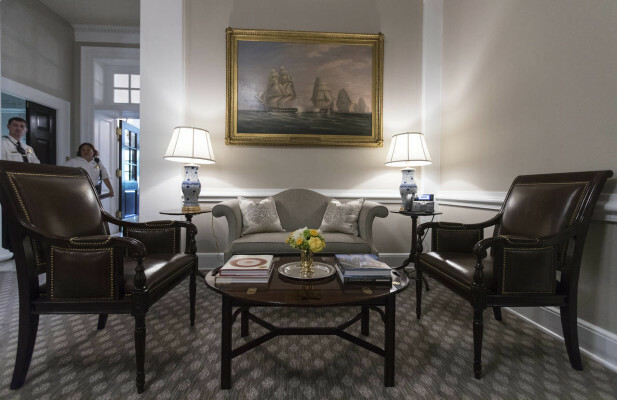 The new beige and navy carpeting throughout the West Wing is emblazoned with floral medallions inspired by the architecture of the White House and the Rose Garden. 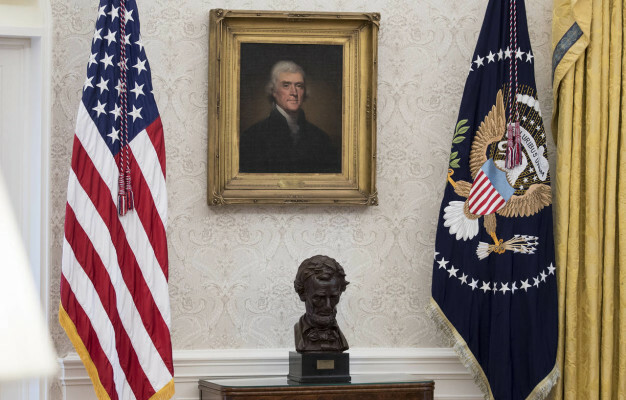 New draperies in the offices pay tribute to those that hung in the Oval Office during President Franklin D. Roosevelt’s administration. 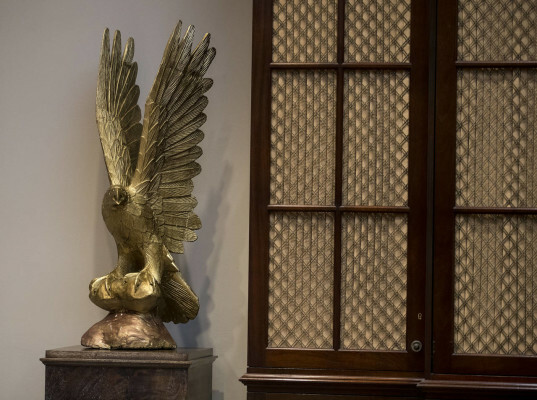 Some furniture has been reupholstered and some new pieces added, including two large golden eagle statues in the Roosevelt Room and a dozen new side chairs with eagle details. Outside, there’s new lighting to better illuminate the Rose Garden and new steps leading up to the South Portico. 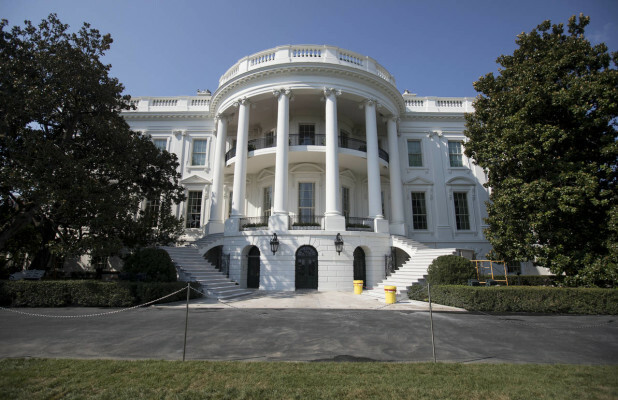 John Stanwich, National Park Service liaison to the White House, said the old steps dated back to President Harry Truman.